The mission of United Way of the Midlands is simple: We unite people and resources to improve the quality of life in the Midlands. Through the generosity of local donors, UWM raises over $9 million annually to drive community impact in the areas of education, financial stability, and health. This position is responsible for managing the Young Leaders Society program and for planning, organizing and staffing activities for the Legal and Nonprofit/Associations campaigns to generate annual revenues with an estimated current value of $575,000. It is a hands-on in-the-community position. In short, we are seeking a quick learner and motivated person who will translate community needs into opportunities to make a difference through financial support of UWM and the Young Leaders Society. Develop relationships with donors and prospects to retain and increase unrestricted giving and increase membership. Provide staff support to volunteer Executive Committee and Steering Committee members to plan and execute YLS programs and events to increase YLS donors (includes kick-offs, professional development programs, volunteer projects and social opportunities). Provide staff support to key volunteer committees and subcommittees including setting meetings, notifying members, preparing agendas and other materials, taking minutes. Secure sponsorships for YLS programs and events. Develop and execute strategies to engage young professionals in the work of United Way of the Midlands and to expand the number of members and dollars raised from YLS. RESOURCE DEVELOPMENT – Performs staff support functions related to implementing workplace campaigns within the Legal and Nonprofit Divisions. Develops and manages relationships with current and potential donors including company leaders, agency representatives, employees and volunteers to increase giving and engagement with United Way. Builds strategic year-round relationships that align with the mission of UWM. Supports recruitment and training of Campaign Committee volunteers. Organizes materials and supports volunteers in contacting targeted companies. Accompanies volunteers to meetings with corporate partners to secure commitments for corporate giving and employee workplace campaigns. Reviews past giving and performance history for assigned companies, sets goals and develops appropriate strategy for engagement. Provides training to coordinators offers support throughout the year. Represents UWM, leading presentations and attending events as requested. Maintains accurate records to track progress and utilizes CRM database. Ensures timely submission of pledges and works with Finance to audit results. Volunteers and actively participates in projects, special events, cross-functional teams or workgroups that support the work of the entire organization. Participates and helps manage campaign and United Way events as directed. 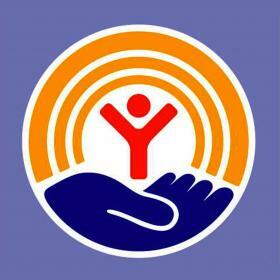 Represents United Way with appropriate community groups.